Expected Release: 2019. Date subject to change. 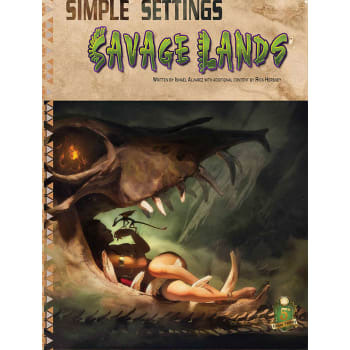 Savage Lands is a guide to 5th edition pre-historic role playing! Play in a world before time, where you can fight and tame ancient creatures, traverse a primordial landscape, and fight for survival against the dangers and depredations of early civilization. The Simple Setting line will provide you with intuitive set of rules that append the rules for 5th edition to make it fun and easy to imagine and explore an entire setting with minimal complexity and few changes.